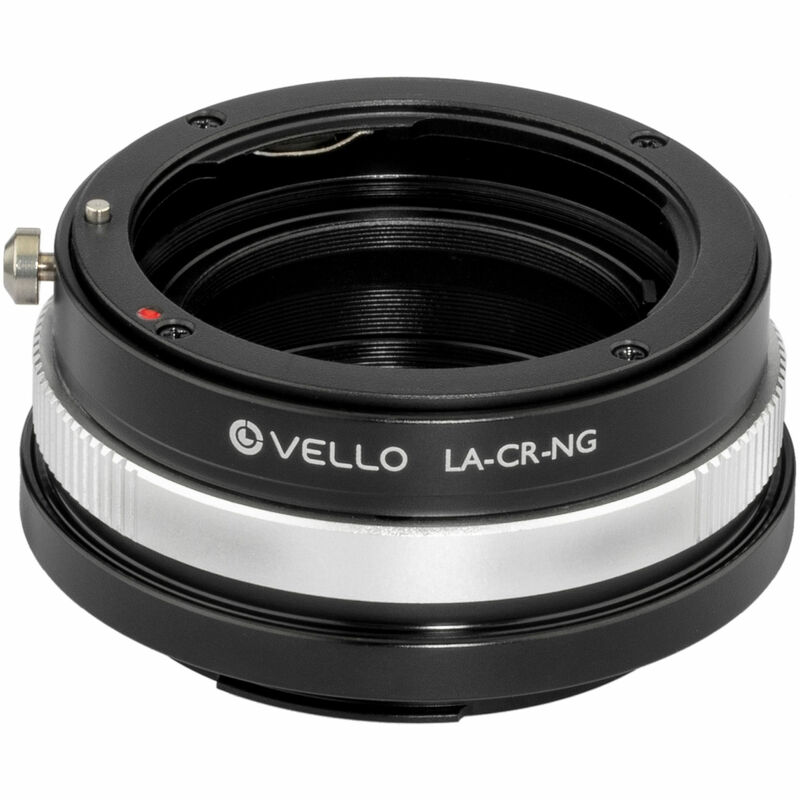 This Vello Lens Mount Adapter allows a Nikon F-mount, G-type lens to be used on a Canon RF-mount camera. It is designed to support focusing to infinity, is constructed from zinc alloy, and utilizes an aluminum alloy mounting ring to provide a durable, yet lightweight camera-to-lens connection. When an image is taken with this lens mount adapter, a matte black internal coating minimizes the potential for reflections within the adapter barrel, which could otherwise result in unwanted glare within the image. To control the amount of light that enters a Canon RF-mount camera when combined with a Nikon F-mount, G-type lens, an aperture-control ring is built into this lens mount adapter. The control ring couples with the lens's aperture mechanism so that adjustments to brightness as well as depth-of-field can be made. It features clickless stop adjustments that help prevent unwanted noise from being recorded while capturing video with sound.